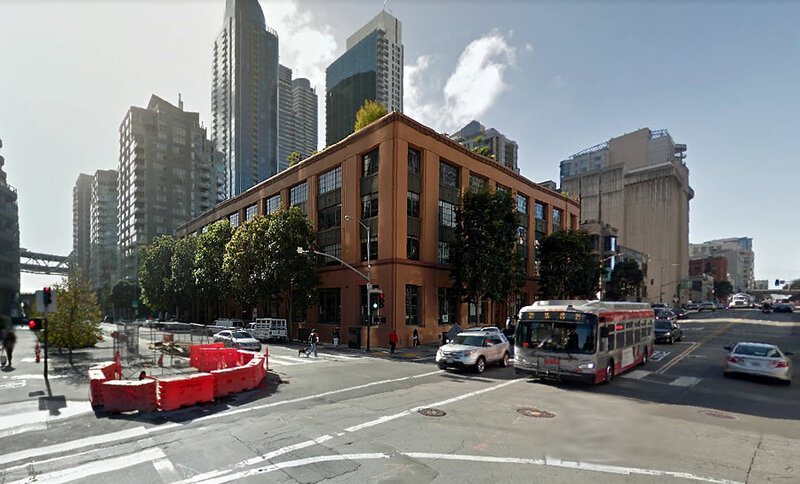 Back in 1999, Caroline Novak appears to have fraudulently purchased a below market rate (BMR) condo at 300 Beale Street, having failed to disclose that she already co-owned property in San Mateo which would have disqualified her from participating in San Francisco’s BMR program. Having paid $178,500 for the 751-square-foot unit #316, Ms. Novak and her husband, Igor Lotsvin, subsequently secured numerous loans with the BMR unit serving as collateral, including funds to purchase the 1,700-square-foot, market-rate unit #614 in the same building for $1,025,000 in 2005 and a home equity line of credit for $370,000 in 2007. In early 2010, Novak and Lotsvin moved out of the BMR unit and into unit 614, at which point the couple began illegally renting out the BMR unit for between $2,000 and $3,000 per month. And in 2015, the couple purchased and moved to a $2.25 million home in Redwood City, at which point they began renting out unit 614 for around $7,500 a month and used the BMR unit as collateral to secure a $450,000 home equity line of credit from First Republic Bank. In response to multiple inquires from the Mayor’s Office of Housing and Community Development, which oversees the City’s BMR program and had first been tipped to the illegal rental activity of the BMR unit over four years ago, Ms. Novak has thrice attested, under penalty of perjury, that she resides in the BMR unit which now appears to be sitting vacant or used by the couple as a pied-a-terre (which would constitute a violation of the BMR program as well). 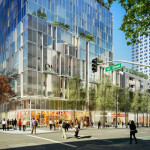 This morning, City Attorney Dennis Herrera filed suit again Novak and Lotsvin, seeking a forced sale of the BMR unit to a qualified low-income owner and civil penalties of up to $2,500 per violation of the state’s unfair competition law and up to $1,000 per violation of San Francisco’s Planning Code, counting every day the couple fraudulently owned the unit as a distinct violation of the Code. It’s worth noting that Novak and Lotsvin currently operate an investment firm in Menlo Park with over $380 million under management and Novak serving as the firm’s Chief Compliance Officer. It’s good to see the City take this sort of thing seriously. Now, how about doing the same with all the tenants using their rent controlled apartments as pied-a-terres. The “penalty” associated with this practice is negligible as the tenant typically only loses the apartment. That is, of course, if the landlord is successful in proving that the tenant does not use the unit as their primary residence. The BMR application process is pretty onerous, with 3 years of financials, credit checks, etc. etc. How does this kind of massive scam get through the application process, much less multiple years and other moves & real estate purchases?! Not in 1999. They let Rose Pak keep her BMR…. Having applied for BMR housing, I know that it’s actually not surprising this couple was able to defraud the City. It sounds like the BMR scheme was the setup so they could get everything that came after (i.e. the two additional properties). So the preliminary paperwork and credit checks wouldn’t have raised any flags. What the City should do is implement an annual follow-up of all BMR owners, checking on their financials every year (e.g. running a soft credit check) for five years, which is how long they are required to live in the unit before they can resell it. What if you get a big promotion and then earn a lot more money after purchasing your BMR? Should you be forced to sell it? Sounds ridiculous. It’s not ridiculous. Below-Market-Rate housing should help people who can’t afford market rate housing. Then these shouldn’t be advertised as home ownership opportunities then if they aren’t really ownership. They should be advertised as what they are: overpriced public housing projects. This is just one side to this story. No one should jump to any conclusions without facts. Don’t be so quick to judge. What do you suppose the other side might be? That’s one helluva punch line to this story. Sometimes “integrity” is just a word. A fox guarding the henhouse. ‘Chief Compliance Officer’, that’s just feckin’ perfect. In addition to heavy cash penalties and forfeitures, I hope this lovely couple’s investment firm clients are quickly made aware of the situation. This was probably a part of their portfolio! Isn’t that the title they gave to those $10/hour fraudulent mortgage doc robo signers? Yeah that would be my guess too. People with cojones for this type of fraud usually have multiple schemes going at once. was thinking same. The City needs to make examples of this pair AND start going after more…..
Let’s say April 1st 2010 to 2018 = 8 * 365 days * up to $3,500 civil penalties per day = $10,200,000 in potential penalties. CHA-CHING. That might sting a little. As morally satisfying as that might be, I doubt it would stand up to an 8th Ammendment-based appeal. What I find even more remarkable about this case is that not one commenter here – yet – has claimed how this points out how ridiculous the whole BMR program is. Now, I’m not making that claim mind you, only pointing out how often we hear it and how strange it seems to be missing here. The BMR program is ridiculous! Government programs shouldn’t be lotteries. And this is a super expensive lottery that benefits a tiny number of people while hurting everyone else by increasing housing prices. If we think we need to give poorer people money for housing, then we should give poorer people money for housing, not build housing for 1% of them and ignore the other 99%. You hit the nail right on the head. BMR”s are just fluff advertising for politicians, like sweepstakes are for magazine sellers (Publishers Clearing House). The are simply an unfair massive giveaway to people who DID NOTING to earn such a wind fall, paid for, by making others pay more than the already insane prices they have to pay. This is a civil suit, not criminal one. The “cruel and unusual” standard does not apply here. Even if it did, $10m is not cruel for a couple managing $300m fund, who cruelly defrauded poor people in real need of housing for years. What about the millions of “poor” people who did not win the housing lottery? Who pays for defrauding them? Perhaps you’re an attorney, and more conversant in the issue – and even if you aren’t I’ll yield the (first) point to avoid turning SS into People’s Court – but whether civil or criminal the remedy has to be in relation to the damage done: since the couple occupied one apartment, at most one – unknown – family was “defrauded”…or more precisely forced to seek a MR apartment. I’m not condoning this – OTC I deplore it, and would go further and suggest it serves as an obvious case for regulating foreign buying in real estate (under the assumption that the defendant Lotsvin is perhaps a Russian National) – but we still need to treat it for what it is…an individual case. I actually agree that the for-sale BMR program is ridiculous. I have no problem with rental BMR, but for many reasons making BMR condos is pretty ridiculous. For sale typically targets a narrow slice that is really middle class…folks who can get qualified for a mortgage…but then there is no control on HOA’s so those often kill folks in upscale buildings. Plus all of these ways to game the system if it is not watched carefully. If you really want to target low income people, deep discounts on rentals are the better way to go. How exactly were they able to secure additional financing against the unit if it’s a bmr? It would be deed restricted and any lender pulling title would see that. I believe the deed restriction does not survive foreclosure, so when the banks order the appraisal they request the value free and clear. “Income and occupancy restrictions on mixed-income BMR units survive foreclosure. Anyone who buys one of these units must fulfill MOHCD eligibility requirements, even in foreclosure. Then I have no idea how they secured those loans. Anyone? 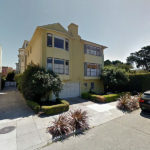 “2760 Sacramento #6 is a Below Market Rate (BMR) one-bedroom condo in Pacific heights which was purchased for $211,500 in February 2003 with restrictions limiting its future resale value and pool of buyers. Despite the aforementioned restrictions, the owner refinanced the condo with a $272,013 first mortgage in 2005 to which a second for $50,000 was added in 2006 and a third for $390,001 was added in 2008. The bank’s resale of 2760 Sacramento #6 subsequently closed escrow at its restricted price of $250,765. I own a free and clear unit at 81 Frank Norris. This is an age restricted build per the planning code. Yet the city screwed up (as usual) and did not get the deed restrictions properly recored. Still when I wanted to get a loan on the unit, to finance other property purchase, Citi back said NO WAY after noticing it was an age restricted building. Sounds like those lenders could use a good Compliance Officer. These guys are criminals and cheats. If I were a client, I would pull all of my assets from them. They should go to jail. I prefer them to every drug addicted vagrant that infests this city…..
Caroline Novak knows her way around loopholes and weaknesses. She will pay a fine but no jail time. When SF leaves the front door wide open, all kinds get in. Maybe fire those employees who left the till open. The city better rethink its “valued” programs and policies unless it likes doing mop up duties and looking stupid.